Ripple, Ethereum, Bitcoin Price Drop: What's Happening To Crypto? Ripple, Ethereum, Bitcoin Price Drop: What’s Happening To Crypto? After a record high near the end of December, Bitcoin price and the price of other topic cryptocurrencies like Ripple and Ethereum dropped massively. They’ve since started to recover, but today took another downward turn. Over the last 24 hours, the Bitcoin price has dropped by 6.15 percent at a current price of $9756.14, with currencies like Ripple and Ethereum also seeing a similar drop. While the majority of these cryptocurrencies have bounced back since the recent crash near the beginning of the year, we’re continuing to see a large amount of fluctuation when it comes to Bitcoin price and the price of all major cryptocurrencies. With the massive highs we saw near the end of December, many first-time investors threw their hat in the ring in an attempt to capitalize on the continued ballooning value of the world’s hottest cryptocurrency. It appears as if the Ripple, Ethereum, and Bitcoin price wasn’t meant to be, however, with a huge crash over the course of just a few weeks which left many investors with a bad taste in their mouths. For newcomers to the idea of cryptocurrency, this was a massive shock and a huge loss of money. For those who have been following the path of the Bitcoin price for the last couple of years, however, this is definitely par for the course. Cryptocurrencies in general have a value based on speculation, which is a large reason why the Bitcoin price can vary rapidly from week to week – and even on a daily basis. These fluctuations make currencies like Bitcoin, Ripple, and Ethereum a risky investment, but with high risk often comes the potential for high rewards. Despite this recent crash from a record high of close to $20000, the Bitcoin price is still significantly higher than it was at this same point last year. Many experts believe that we’ll continue to see an upward trajectory, but there are others that are convinced that these cryptocurrencies may never bounce back to the prices we saw near the end of 2017. 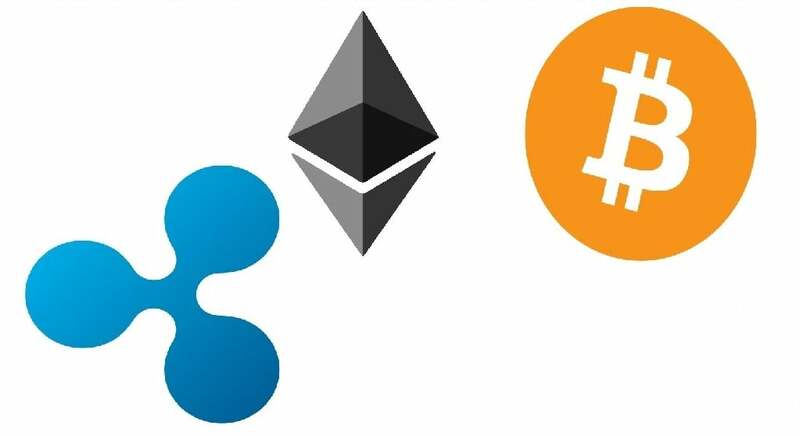 With how inflated the Ripple, Ethereum, and Bitcoin price have become, it’s starting to become impossible for traditional financial institutions to ignore the massive influence that these cryptocurrencies are having over the market. With a market cap in the hundreds of billions, these cryptocurrencies have quickly grown from a small techie side project into the hottest topic in the investment industry. However, unlike traditional financial investments, the inherent design of currencies like Ripple, Ethereum, and Bitcoin pose problems for the average investor. Part of the appeal behind cryptocurrencies and a large reason of why the Bitcoin price was able to climb so high is the fact that the currency is easily accessible to amateur investors. While it might not be easy or straightforward to buy stocks in your favorite company, it’s incredibly simple to download an app and throw a few bucks into investing in Bitcoin. The problem arises when amateur investors throw in more than just a few bucks, such as the situation in December where a lot of people lost a lot of money after the massive crash in the beginning of 2018. Governmental agencies and other regulatory bodies are starting to catch on to the fact that Bitcoin, Ethereum, Ripple, and the dozens of other major cryptocurrencies are here to stay, and are starting to implement some regulations into a financial investment that has thrived largely due to the lack of said regulations. A number of major countries around the world are starting to look into more heavily regulating this new form of investment, which may have a marked effect on Bitcoin price. While many experts are believing that the rise of these cryptocurrencies is far from over, others warn of a bubble that is just waiting to burst, and that this increased interference from traditional financial bodies may spell the end of this meteoric rise. China made the news a few months back after a leaked document suggested that they would soon be adding increased taxes on Bitcoin mining operations – a major blow to the many companies that call the country home due to the low costs of utilities. China has generally been unwelcoming to the idea of cryptocurrency, with the shuttering of a large cryptocurrency exchange and the banning of initial coin offerings striking a blow to Bitcoin price due to the rejection of such a large financial market. China is not alone in its alienation of cryptocurrency, with countries like Israel and South Korea also taking steps that could potentially keep the Ripple, Ethereum, and Bitcoin price from bouncing back. Overall, cryptocurrencies have seen massive growth since their inception a few years ago, but is there an upper limit that these currencies can’t pass? With increased regulation, that’s certainly a possibility. While the 6% loss in Bitcoin, Ripple, and Ethereum price is certainly concerning, it’s not something to get too worked up over. Day to day and week to week, we’ll see the price of these new investments rise and fall. What is worth thinking about, however, is whether these newcomers have the staying power to withstand a changing financial scene.